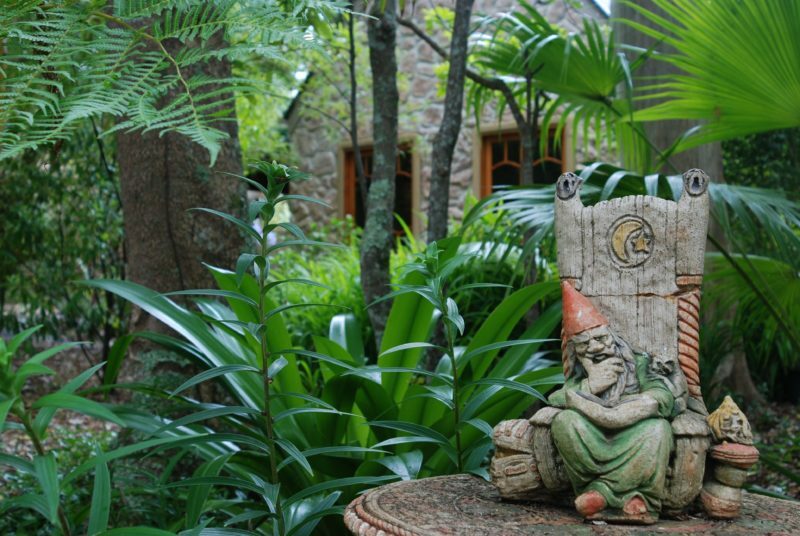 Witches Falls Cottages is an idyllic couples retreat with private, self contained cottages tucked away along rainforest pathways directly opposite Witches Falls National Park. Your hosts Daniela and David are happy to assist to make your stay a memorable experience. 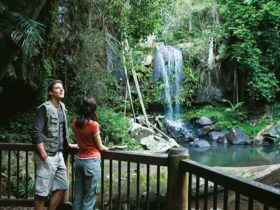 Their next-door neighbour Witches Falls National Park, the oldest National Park in Queensland, invites you to explore the Rainforest and local fauna and flora. Walk to local wineries, antique shops or the picturesque village. Stroll through Gallery Walk with its Gift and Craft Stores, relax in one of the coffee shops or enjoy the abundance and varieties of cuisines on offer in one of the many restaurants. 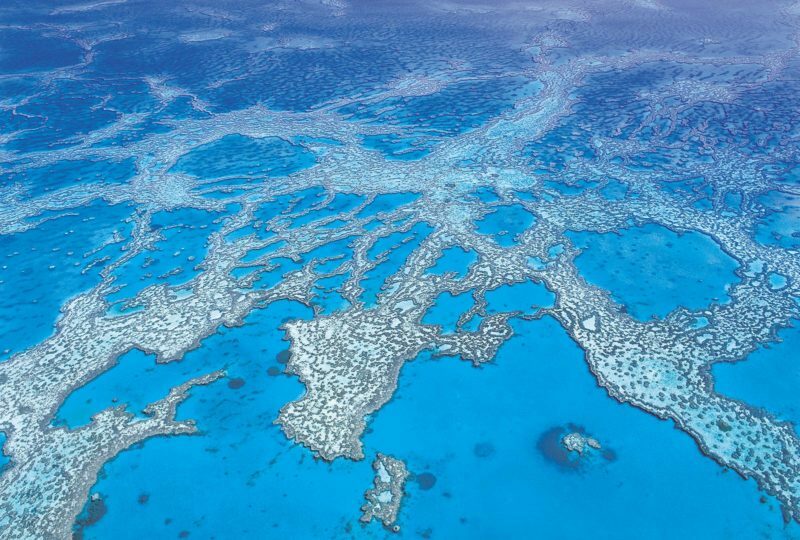 To make it easy for guests to explore what this beautiful region has to offer and to discover the local secrets, there are a wide range of itineraries and interactive maps available. 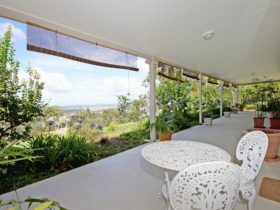 Maps include our ‘Walk to a Waterfall’ and ‘Country Drive to Byron Bay’. 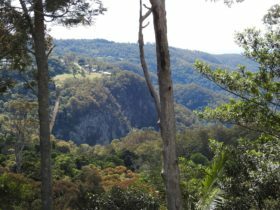 Tamborine Mountain is an hours drive south of Brisbane and 40 minutes inland from the Gold Coast. Unique stone gabled cottages designed for couples. 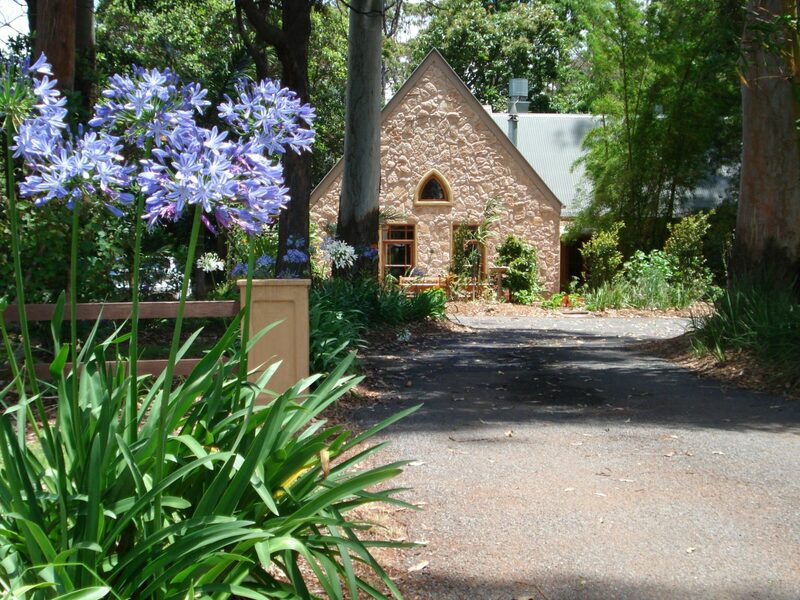 Self contained with air conditioning, fireplace (seasonal), kitchenette and courtyard garden with barbecue. Glass roofed bathroom with double spa, queen size bed and lounge area. Their speciality is the breakfast hampers served to your cottage each morning, delightful breakfast options with free range home grown eggs, bacon, German sausages, tomatoes and mushrooms for you to cook when it suits you or locally smoked hams and cheeses, cereals, fruits and yoghurts. Oh yes, all their breakfast hampers come with fresh home baked breads each morning – yum! They do also cater for guests with special dietary requirements like vegan or gluten free. Perfect for lovers of the outdoors the Rainforest Suite features a big comfortable outdoor spa in your private courtyard garden. 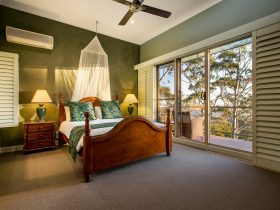 The Suite is self contained with air conditioning, fireplace (seasonal), kitchenette and courtyard garden with barbecue. 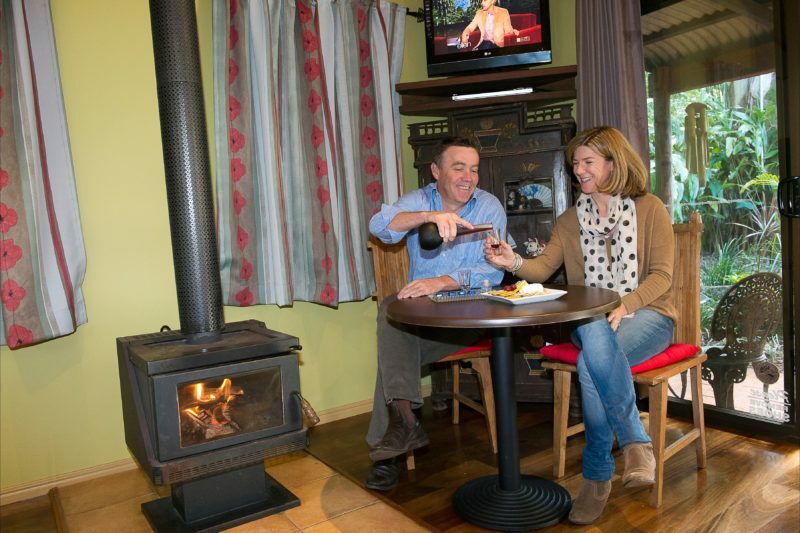 Their speciality is the breakfast hampers served to your suite each morning, delightful breakfast options with free range home grown eggs, bacon, German sausages, tomatoes and mushrooms for you to cook when it suits you or locally smoked hams and cheeses, cereals, fruits and yoghurts. Oh yes, all their breakfast hampers come with fresh home baked breads each morning – yum! They also cater for guests with special dietary requirements like vegan or gluten free. Unique cottages designed for couples. 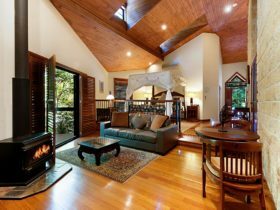 Self contained with air conditioning, fireplace (seasonal), kitchenette and private outdoor area with barbecue. Glass roofed bathroom with double spa, king size bed and lounge area. One cottage has full disabled facilities. Their speciality is the breakfast hampers served to your cottage each morning, delightful breakfast options with free range home grown eggs, bacon, German sausages, tomatoes and mushrooms for you to cook when it suits you or locally smoked hams and cheeses, cereals, fruits and yoghurts. Oh yes, all their breakfast hampers come with fresh home baked breads each morning – yum! They also do cater for guests with special dietary requirements like vegan or gluten free. Rate per night including breakfast each morning (for bed and breakfast accommodation). Rate per night (for holiday house accommodation).